Since coming to power in 1959, Cuban leader Fidel Castro (pictured above, from 1976) has been a thorn in the side of the United States and its government. Castro was the head of the Communist nation just off the coast of Florida until he transferred presidential powers to his brother Raul in 2008. During his time leading the nation (and since), Fidel Castro’s anti-American streak and close ties to the Soviet Union caused concern to many American presidents. Removing Castro from power seemed to be an on-going effort for decades. At times, these efforts were more creative than effective — such as the time the government considered creating a fake Second Coming of Jesus. Cuba, now a nation of about 11 million people, is predominantly a Catholic nation. When Pope Benedict XVI visited the small island nation in the spring of 2012 — the first papal visit in nearly 15 years — held a Mass attended by an estimated 200,000 people. Religion plays a significant role in the nation with at least two-thirds of the population identifying with some branch of Christianity. And that percentage was likely higher in the 1960s. This plan consisted of spreading the word that the Second Coming of Christ was imminent and that Christ was against Castro who was anti-Christ. And you would spread this word around Cuba, and then on whatever date it was, that there would be a manifestation of this thing. And at the time – this was absolutely true – and at the time just over the horizon there would be an American submarine that would surface off of Cuba and send up some star-shells. And this would be the manifestation of the Second Coming and Castro would be overthrown. Another account of the plan suggest that American war planes would fly above the clouds, unseen, at a moment coordinated with the star shell bursts. They’d be broadcasting a voice (purportedly of Jesus) telling the people below to forsake Communism. A further account asserts that the plan involved an actor portraying Jesus was to make his way to shore while the rest of this show was in full display. While neither of those accounts cite to a source for those details, if one is going to fake a major religious moment, there’s really no reason to stop with a light show. Regardless, the light show is was probably the biggest hook for those skeptical of Lansdale’s idea. Critics of the plan, per a Washington Post column quoting Evan Thomas’ book, mocked the proposal by calling it “Elimination by Illumination.” The plan, serious or otherwise, as never put into action. Bonus Fact: Another anti-Castro CIA plot involved tainted cigars. That’s not all that odd — if you’re intent on taking Castro down, using his smoking habit seems like a good way to poison him. But the goal of the CIA’s special cigars wasn’t to cause Castro’s death. 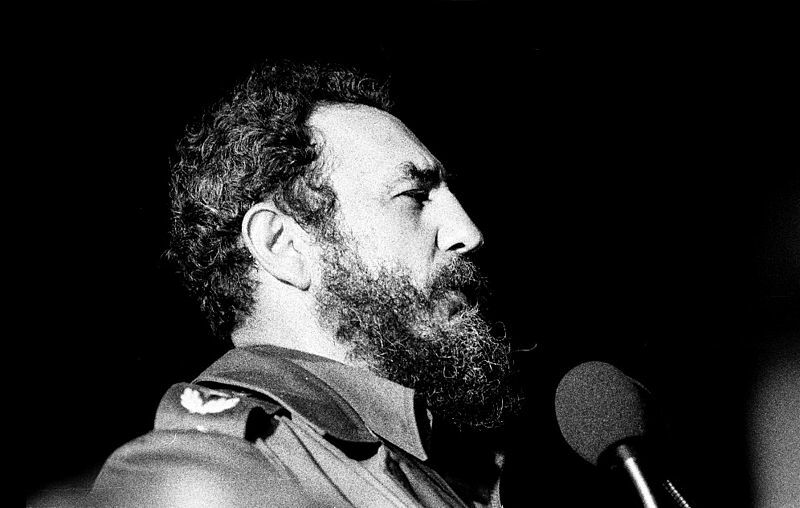 According to CNN, the spiked cigars were designed to make Castro become disoriented or, perhaps, to cause his beard to fall out — for reasons unclear. From the Archives: Blame Cuba: Another, less silly American plan to oust Castro. Related: “Robert F. Kennedy: His Life,” the biography by Evan Thomas. 4.2 stars on 60 reviews.